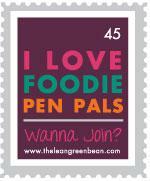 As part of my 101 Things to Do list I’ve included a task of cooking a 3 course dinner party for friends from scratch. I haven’t decided when exactly to cook this meal, but there’s no harm in a little bit of practice beforehand. This recipe makes 4 decent sized tarts. 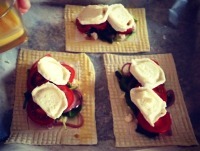 Lightly flour your work surface and roll a sheet of puff pastry into an 11 x 11 inch square. Cut into four squares. 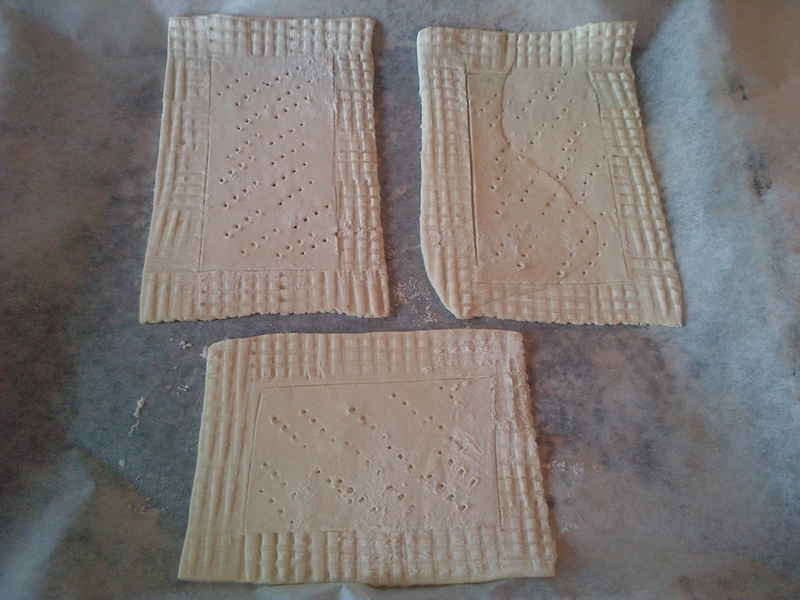 Line baking tray with parchment paper and lay pastry sheets on it. Keep refrigerated until ready to assemble. Heat 3 tbsp olive oil in a frying pan over medium to low heat – we don’t want to burn the onions and garlic. Add aforementioned onions and garlic and saute for 10 to 15 minutes. Stir frequently. Add 1/2 tsp salt, 1/4 tsp pepper, wine and basil. Cook for a further 10 minutes until onions are lightly browned. 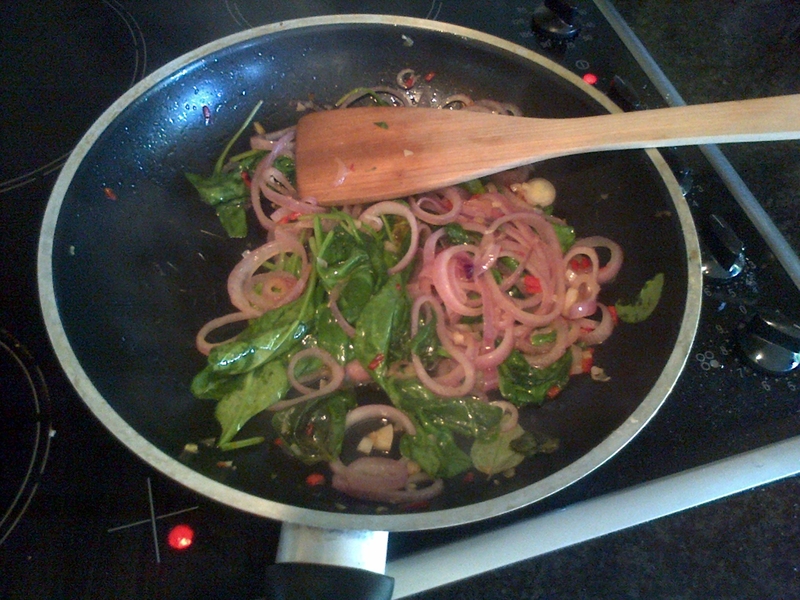 Add spinach for 2 mins towards end of cooking to saute lightly. Remove from the heat. Using a sharp knife, score a 1/4 inch thick border around each pastry square. Prick the pastry inside with a fork, so as the inside pastry doesn’t rise while cooking. Sprinkle 1 tbsp Parmesan on each, staying inside the border. Layer spinach evenly between 4 sheets. Crumble the feta on each sheet. Distribute the onion mixture evenly. Place tomato slices on top of each tart. Brush tomato lightly with olive oil and sprinkle with basil, salt and pepper. 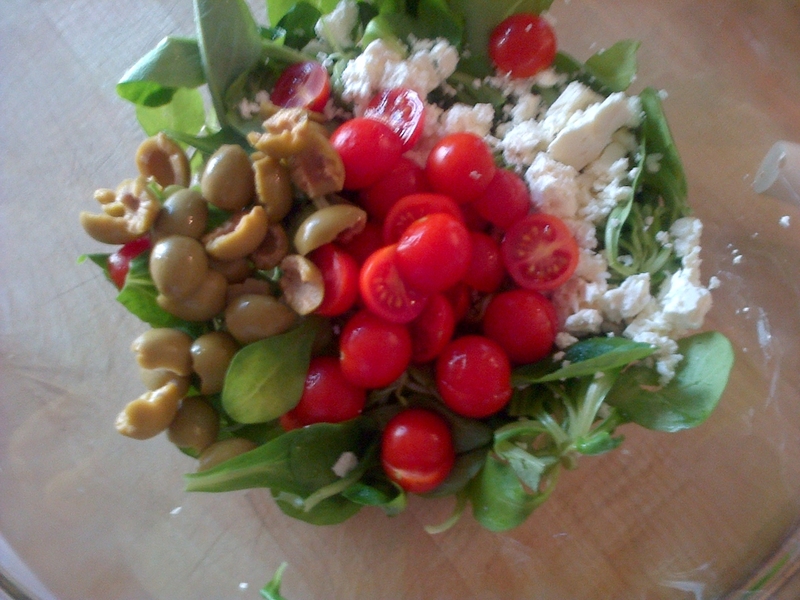 Top each tart with a couple slices of goats cheese. Brush edges of pastry with beaten egg. Bake for 20 – 25 mins until pastry is golden brown.